Accusations that the fishing industry is responsible for any population decrease of Salvin’s albatross are untrue and has been dismissed by Deepwater Group chief executive, George Clement. The claim was made by Forest & Bird in a bid to discredit the internationally respected Marine Stewardship Council organisation which has given New Zealand’s hoki fisheries accreditation as sustainable. “No one wants to catch a bird, but Salvin’s albatross are occasionally caught in the hoki fisheries and this is regrettable, however the assertion that the deaths of up to 50 a year is impacting on a population in excess of 100,000 is untrue,” said Clement. These represent around 0.05% of the population and the Ministry for Primary Industries’ risk assessment estimates that it would take more than 3,500 mortalities from fishing to adversely affect this population. The Department of Conservation undertakes population counts to monitor this seabird species, and others. The most recent count showed a 26 percent increase in the number of breeding pairs. 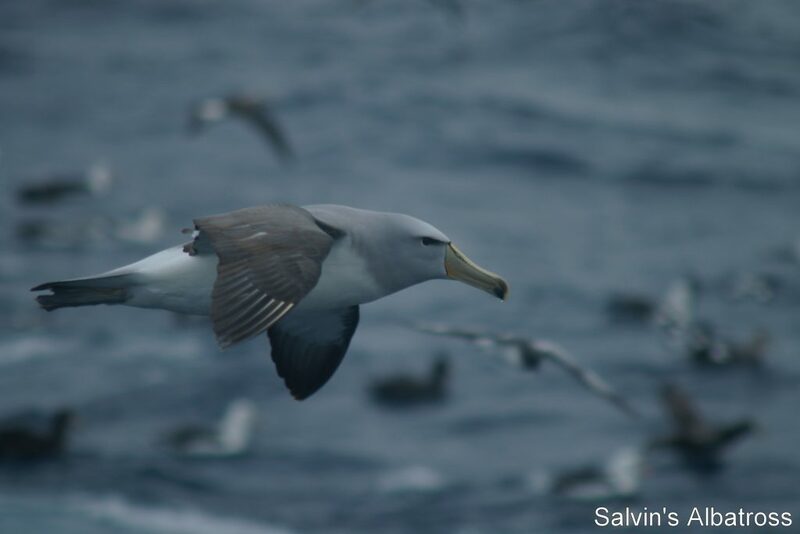 Concerns about Salvin’s albatross have been assessed as part of MSC certification through an open, transparent, scientifically-based process, and it was concluded that these fisheries are indeed sustainable. The industry remains committed to do all that can be done to minimise interactions with these birds. “In collaboration with the Ministry for Primary Industries, Department of Conservation, scientists and environmental groups the industry works to reduce the numbers of interactions to as close to zero as is possible. Examples of the ongoing work include training all crews on how to minimise risks to seabirds, employing mitigation devices to deter birds from vessels, and conducting research to monitor the population, fisheries risks and areas for improvement. “Reducing the number of interactions to zero remains our aspirational goal, albeit a very challenging one, and we welcome any support or ideas from anyone to achieve this,” said Clement.